Integrins have been found in animals and their homologues have also been found in cyanobacteria, probably due to horizontal gene transfer . 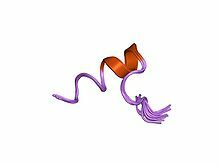 This domain corresponds to the integrin beta VWA domain. Integrins are important therapeutic targets in conditions such as atherosclerosis, thrombosis, cancer and asthma [PUBMED:2199285]. 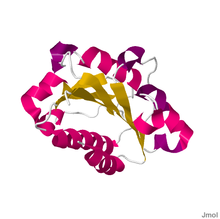 At the N terminus of the beta subunit is a cysteine-containing domain reminiscent of that found in presenillins and semaphorins, which has hence been termed the PSI domain. C-terminal to the PSI domain is an A-domain, which has been predicted to adopt a Rossmann fold similar to that of the alpha subunit, but with additional loops between the second and third beta strands [PUBMED:9009218]. 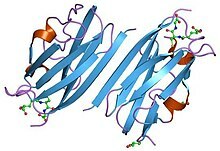 The murine gene Pactolus shares significant similarity with the beta subunit [PUBMED:9535848], but lacks either one or both of the inserted loops. 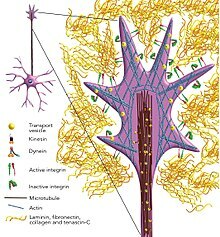 The C-terminal portion of the beta subunit extracellular domain contains an internally disulphide-bonded cysteine-rich region, while the intracellular tail contains putative sites of interaction with a variety of intracellular signalling and cytoskeletal proteins, such as focal adhesion kinase and alpha-actinin respectively [PUBMED:9818167]. Integrin cytoplasmic domains are normally less than 50 amino acids in length, with the beta-subunit sequences exhibiting greater homology to each other than the alpha-subunit sequences. This is consistent with current evidence that the beta subunit is the principal site for binding of cytoskeletal and signalling molecules, whereas the alpha subunit has a regulatory role. The first 20 amino acids of the beta-subunit cytoplasmic domain are also alpha helical, but the final 25 residues are disordered and, apart from a turn that follows a conserved NPxY motif, appear to lack defined structure, suggesting that this is adopted on effector binding. The two membrane-proximal helices mediate the link between the subunits via a series of hydrophobic and electrostatic contacts. For those sequences which have a structure in the Protein DataBank, we use the mapping between UniProt, PDB and Pfam coordinate systems from the PDBe group, to allow us to map Pfam domains onto UniProt sequences and three-dimensional protein structures. The table below shows the structures on which the Integrin_beta domain has been found. 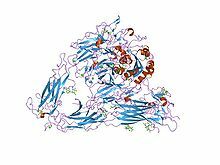 There are 114 instances of this domain found in the PDB. Note that there may be multiple copies of the domain in a single PDB structure, since many structures contain multiple copies of the same protein sequence.